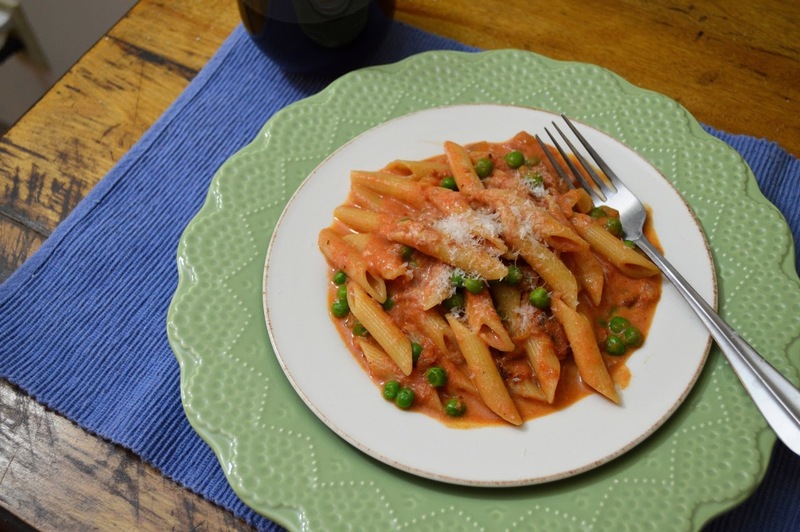 For some reason, this Penne alla Vodka dish makes me think of spring. It must be the peas. 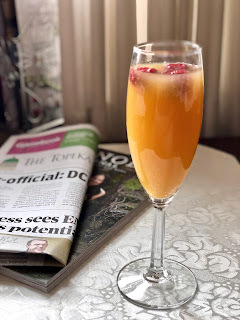 I developed this recipe years ago, inspired by two different versions. One was from my favorite Italian restaurant in New Hampshire, and the other was a recipe in Lidia’s Italian-American Kitchen by Lidia Bastianich. I took my favorite elements from both and created this rich, satisfying vodka-cream sauce. 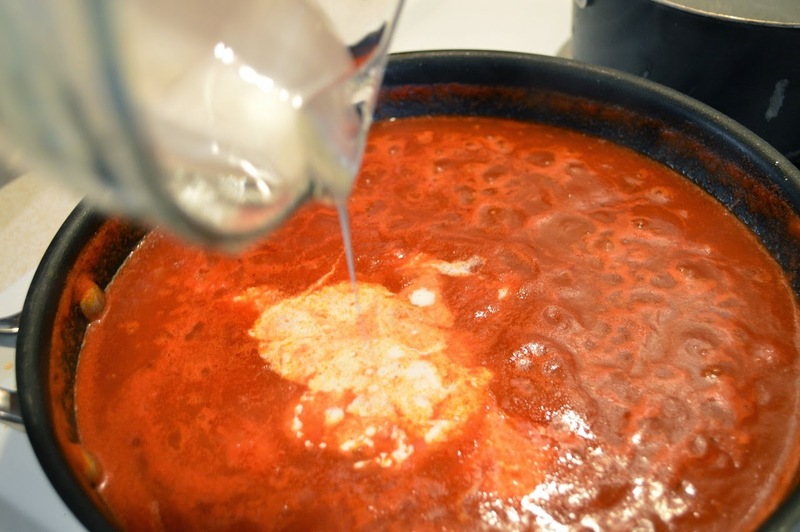 The cream added at the end gives it a smooth, velvety texture while also taming the acid in the tomatoes. Place the can of tomatoes in the bowl of a food processor. Pulse a few times to break up the whole tomatoes. (This also works well by putting the tomatoes in a bowl and using a handheld immersion blender.) Set aside. In a large skillet, sauté the bacon until crispy. Remove the bacon and set aside, reserving 1 tablespoon of the bacon fat. Add an additional tablespoon of olive oil into the skillet with the bacon fat, and then the diced onions. Sauté until the onions are translucent. Add the minced garlic and saute for just 30 seconds. Then pour in the tomatoes. Bring to a simmer and season with salt and crushed red pepper. Add the vodka and keep simmering while cooking the pasta. Add salt to the boiling water, and then the penne. Cook until the pasta is just done, about 10 minutes. 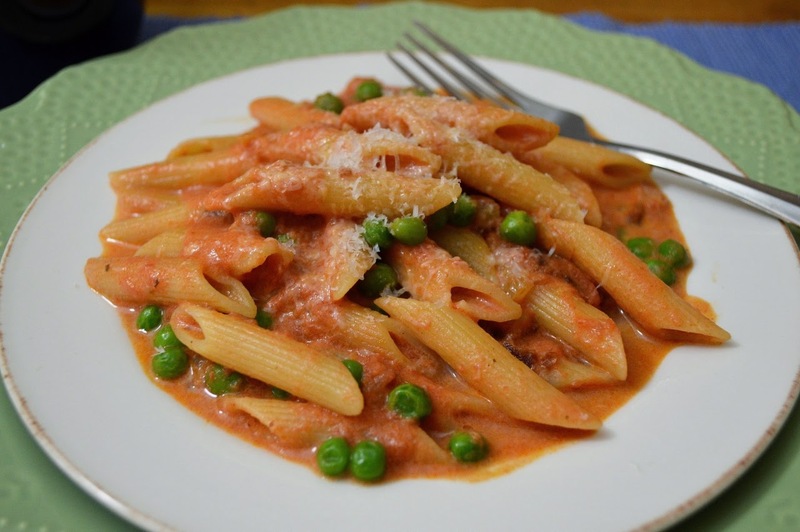 When the pasta is almost finished cooking, add the cream, peas and bacon to the sauce. Drain the pasta and add it to the sauce, stirring to combine. Turn off the heat and add the Parmesan cheese, stirring to combine. Garnish with more grated parmesan, if desired. This looks flat out incredible.